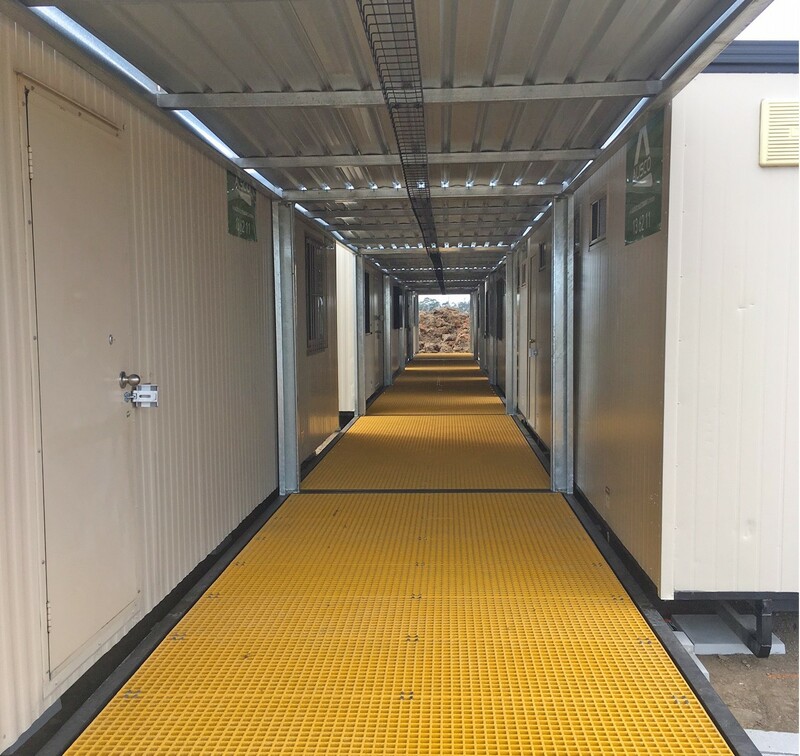 Coverflex, currently available in limited quantities only in NSW and VIC helps get your building site up and running sooner, with modular covered walkways that can be installed simply and easily with the rest of your buildings on site. Coverflex is Ausco's new modular covered walkway, the perfect solution to providing instant protection outside and in between buildings. Ideal for construction sites where you want to be operational as quickly and cost effectively as possible, Coverflex replaces the need for custom-built decking. We recognise time is money. Our Coverflex modules can land on the same day as the buildings! Non-slip floor coverings significantly improves grip, reducing the risk of injury. Pre-built units are more cost effective than custom built walkways on short-medium term projects. Coverflex modules are available to move with your buildings, wherever your project takes you. Via a novel roof design, the standard modules can be arranged in many ways, giving ultimate flexibility to your undercover space.